The symptoms: The Samsung Spinpoint F3 HD103SJ hard drive stays busy, does not initialise and spins down. 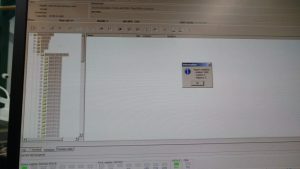 Solution: Our technicians have to use the PC-3000 disk utility to upload new firmware to the service area of the Samsung Spinpoint F3 HD103SJ hard drive. What is PC-3000? PC-3000 does two things: it helps you repair drives with firmware problems; also it works with very problematic drives without opening them. 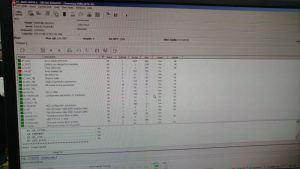 In 75% of the hard drive failures, you don’t need to open the drives to recover the data thanks to PC-3000. Procedure: First the technician has to find the part number (PN) of the hard drive. The part number for the Samsung HD103SJ worked on is 588581-001. 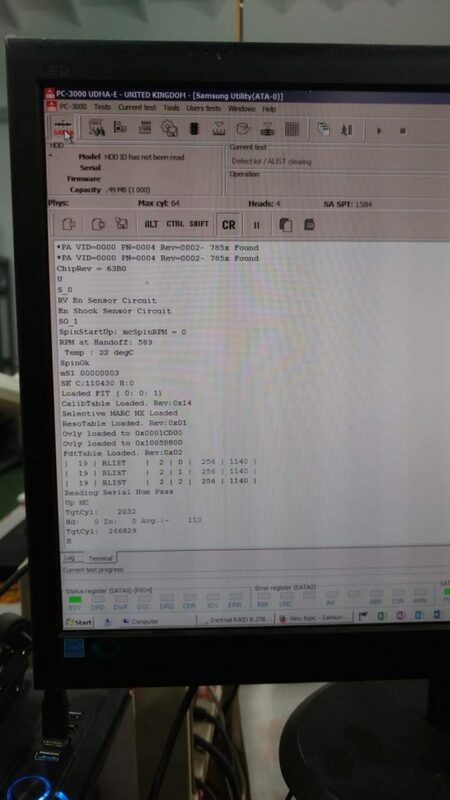 He then goes to the PC-3000 library to get the necessary files relating to the same part number and re-write it into the Rom of the hard drive. This is done using the terminal adaptor that’s provided by PC-3000. In this case, it’s a Seagate terminal adaptor that has to be used for the Samsung hard drive. 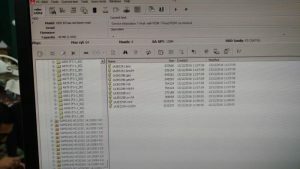 The files from the database of PC-3000 get to be re-written in the Rom of the Samsung hard drive not recognised. Once this is uploaded, the technician powers down the drive and up again. The drive should reinitialise into a ready state. To check that everything is ok, he can go to Sector edit and view sectors on the hard drive. Creative IT provides expert data recovery services for companies and residential clients throughout UK. Our data recovery company based in Central London recovers data from all brands and models of hard drives. 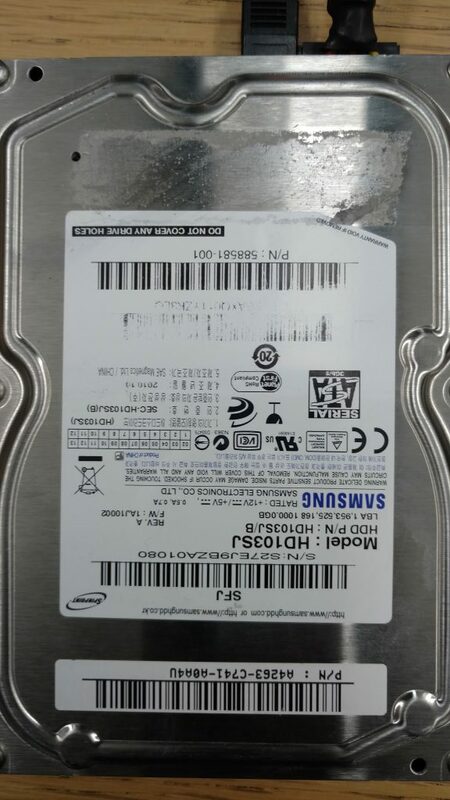 For a quote or advice on a Samsung Spinpoint hard drive failure, please do not hesitate to contact us.